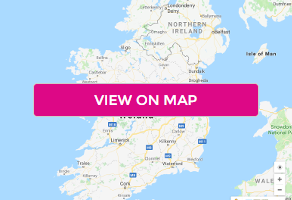 This 5 Star Hotel in Galway provides luxury accommodation in a fantastic location, with all the charm of Connemara and just 4 kms from the vibrancy of Galway City - it's the ideal location for exploring all that the West of Ireland has to offer. Offering king-size or twin bedrooms, pillow top mattresses and luxurious down feather pillows, one is guaranteed a peaceful nights sleep. The Oak Cellar Bar is the perfect venue for meeting friends for drinks, relaxing after a long day, a casual lunch or post golf analysis. Hideaway in the cosy, rustic interiors that exudes warmth and original character features. Using traditional recipes and all-time favourite dishes, the Oak Cellar Bar is very popular with locals and visitors alike for casual and rustic dining. Set on the banks of Lough Corrib, the scenic Glenlo Abbey Golf Course is situated only 2 miles from the vibrant city of Galway. Designed by Ryder Cup legend Christy O’Connor Jr, the course has been recognised as one of the best 9 Hole Golf Courses in the Republic of Ireland. The courses offer a unique and challenging experience to golfers of all levels, including a signature 4th hole on an island green. Explore Ireland’s West while staying at the Glenlo Abbey Hotel. Visit Connemara and the islands, see and hear the Irish language in everyday use in our “Gaeltacht” region, discover our heritage centres and museums, or simply photograph our dramatic landscape. Ireland’s West has a fantastic selection of visitor attractions, historical sites, beautiful buildings, stunning locations and landscaped gardens.